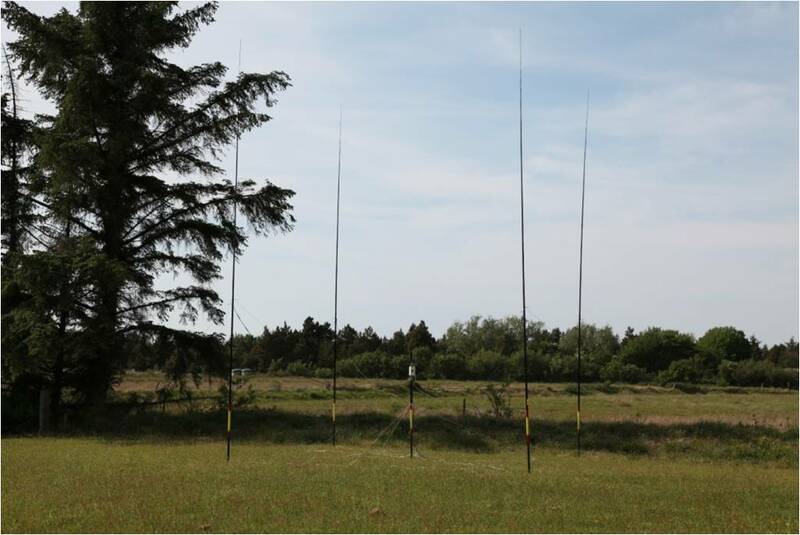 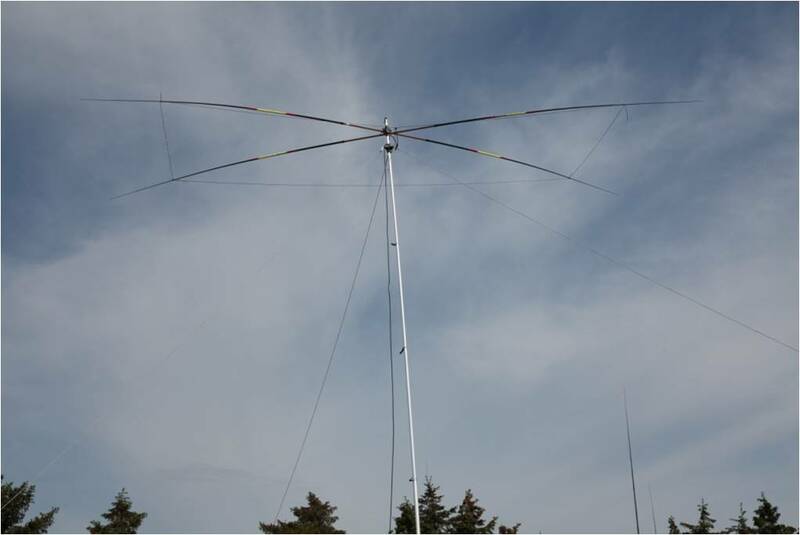 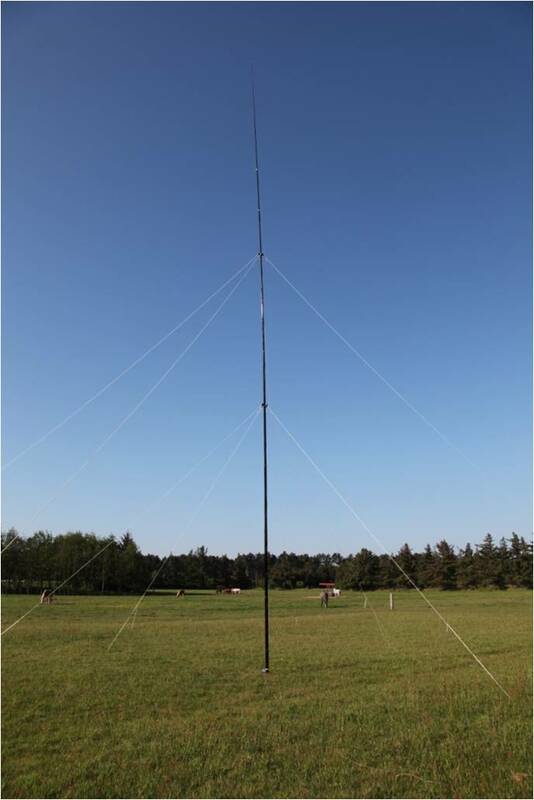 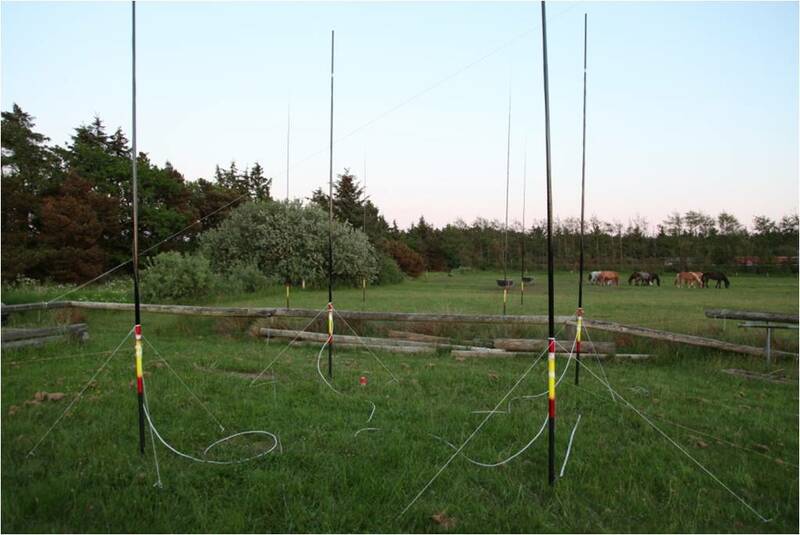 - We used four homemade 4-Square-Arrays (15m, 20m, 30m, 40m) in time. 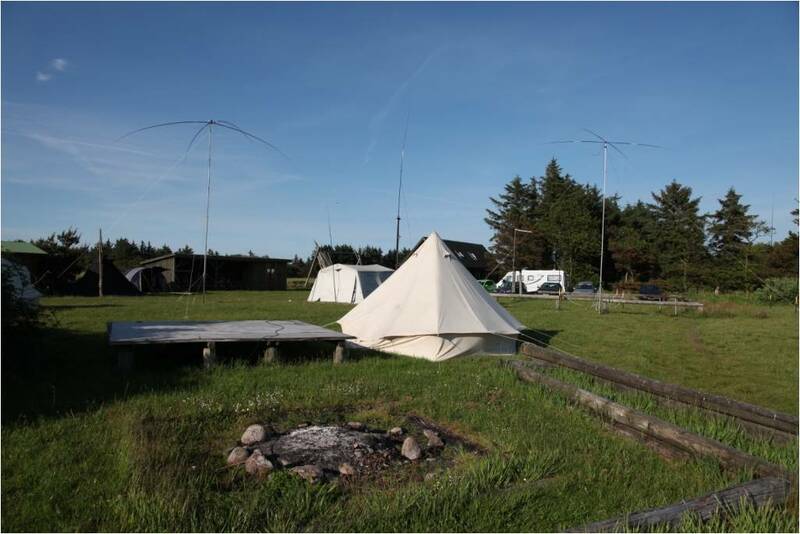 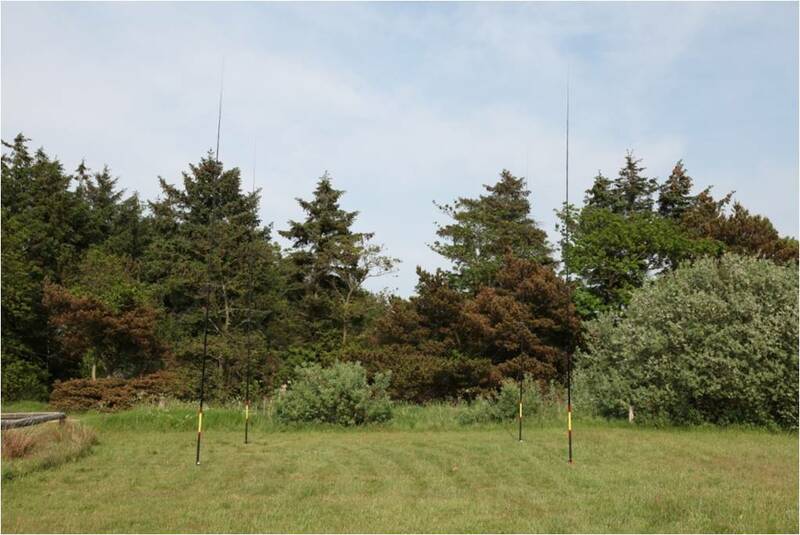 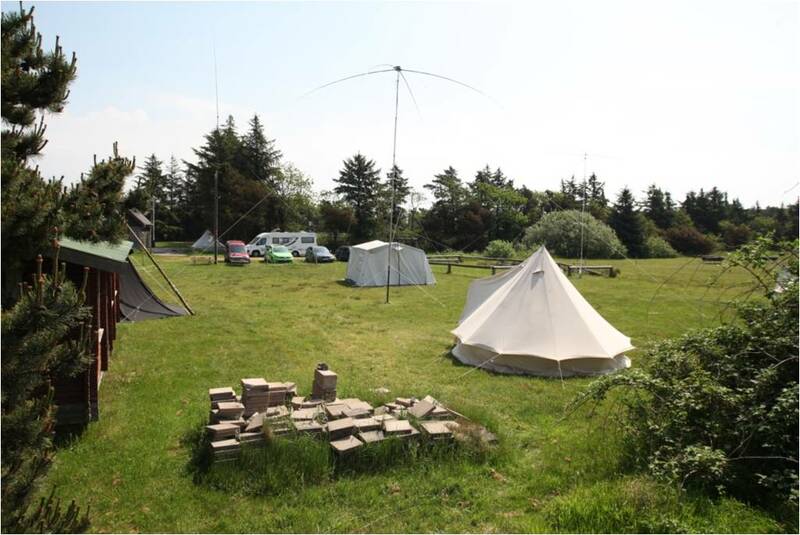 - The stations in the tents used UCX-Log and were connected to each other via WLAN. 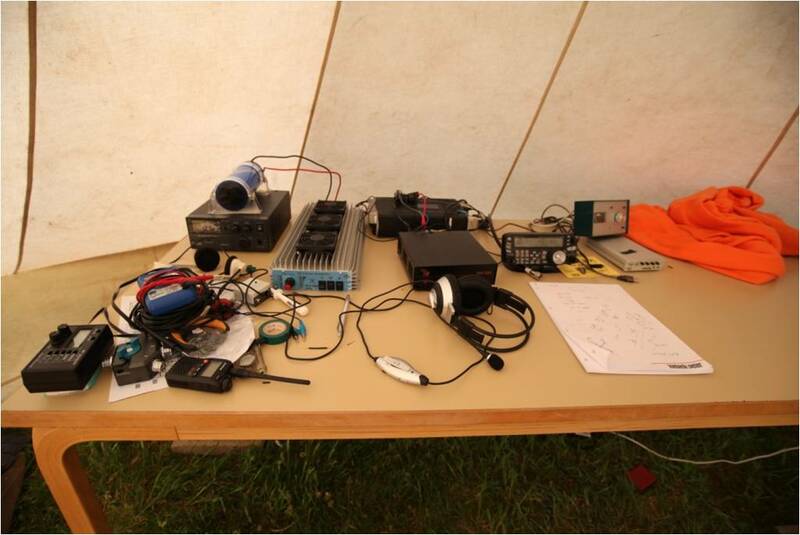 a miniVNA-analyzer. 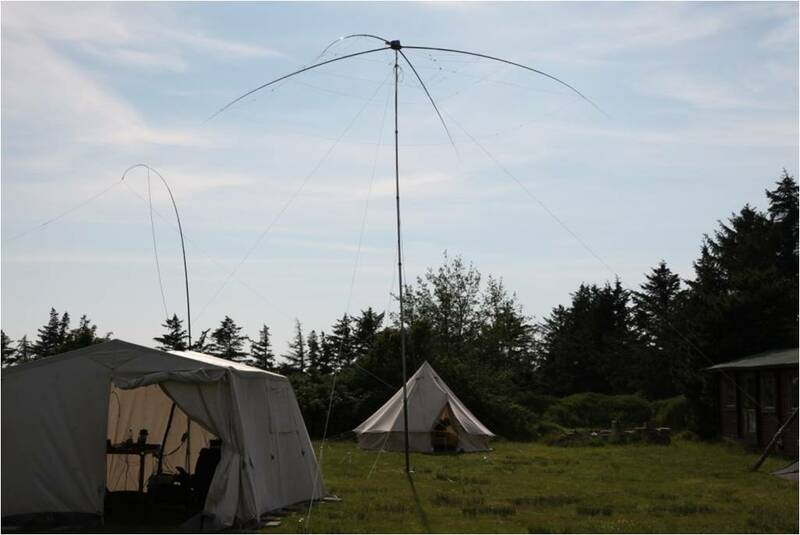 A K9AY-Loop-Array was used for RX-antenna. 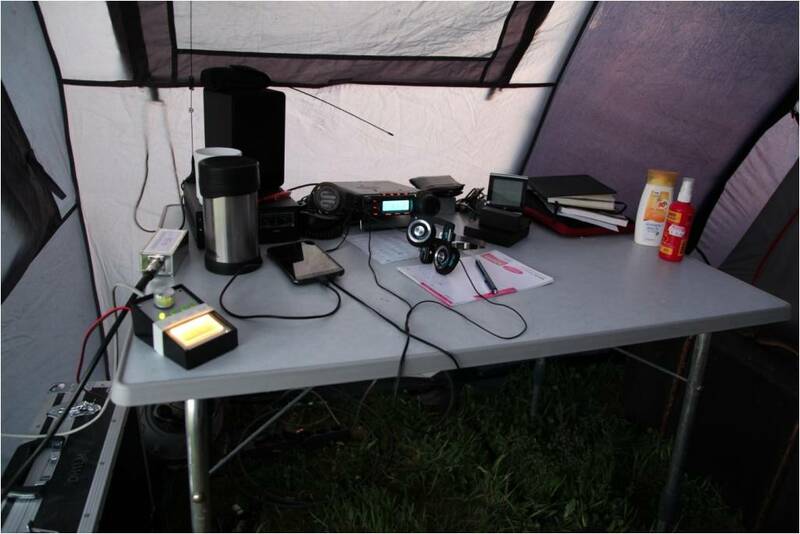 - On 15m within less than 2 hours we reached among others 64 contacts to Japan (JA) and 4 contacts to South Korea (HL). 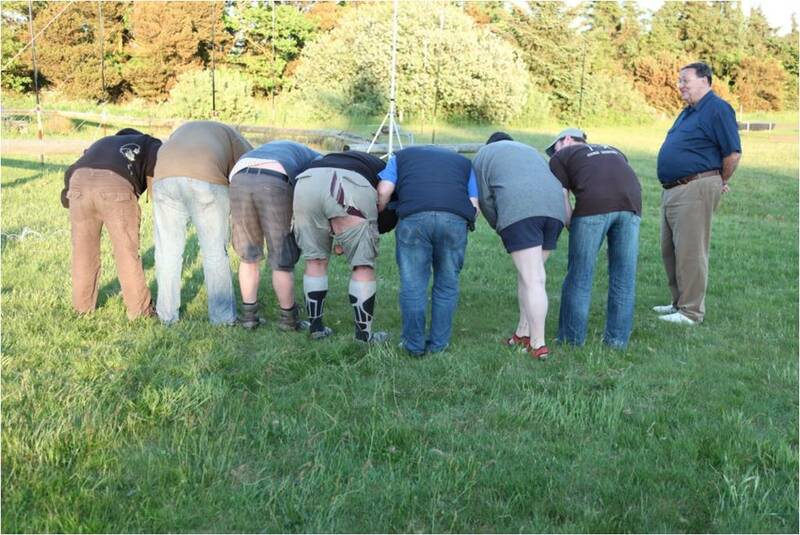 - We made practise for the first time in digital mode DOMINO. 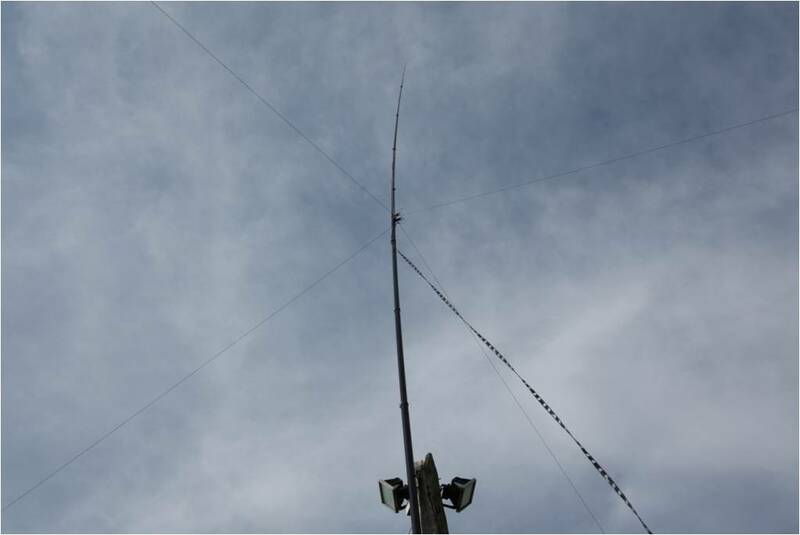 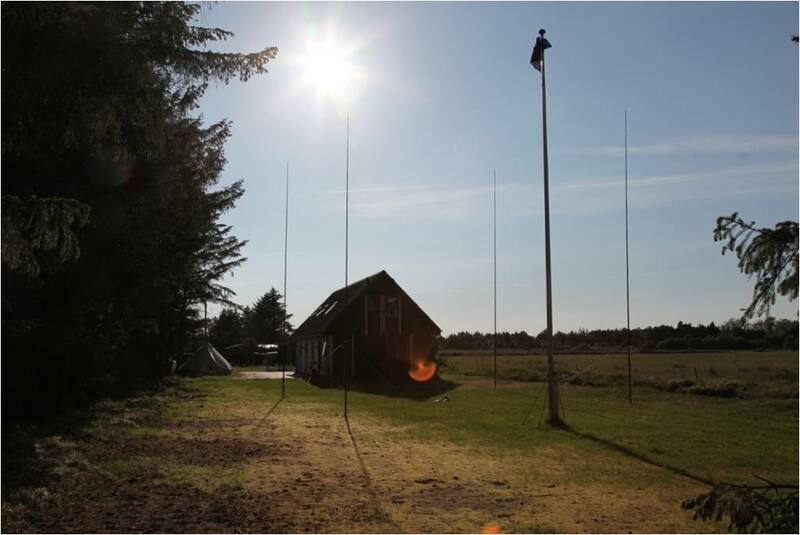 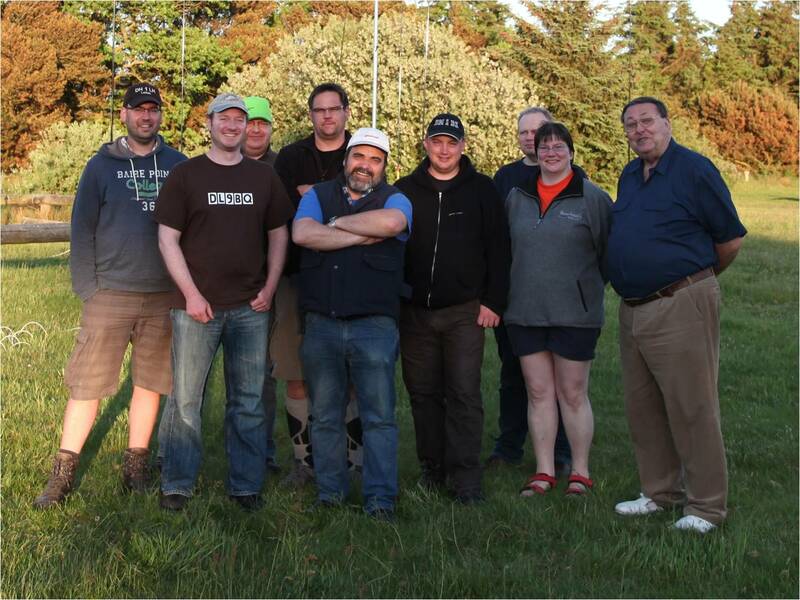 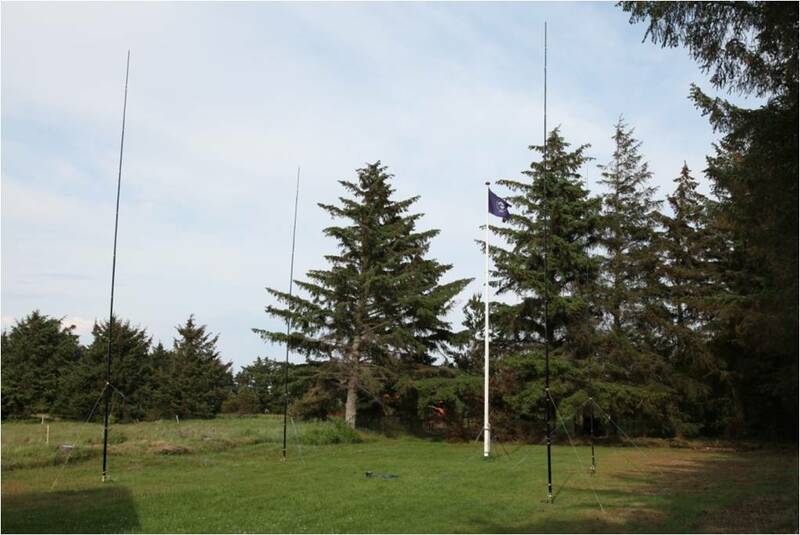 In the east corner of the area, after the service house, the 4-Square-Array for 40m was put.